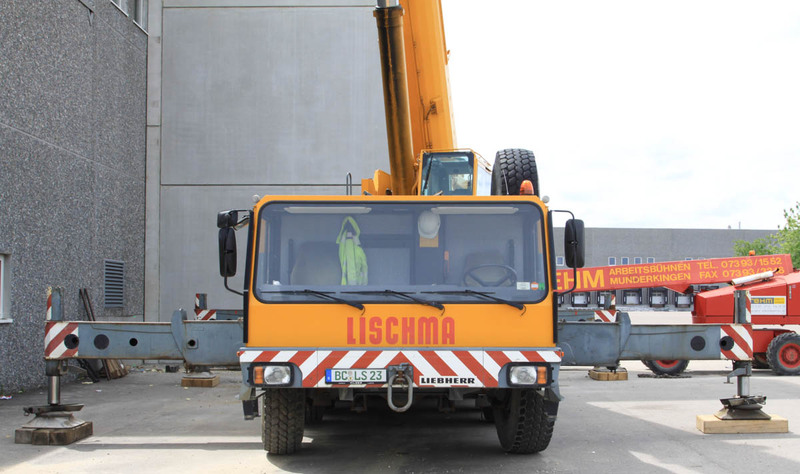 The Lischma company from Laupheim (DE) is using this sharp Liebherr LTM 1160/2 for the assembly of precast concrete elements. 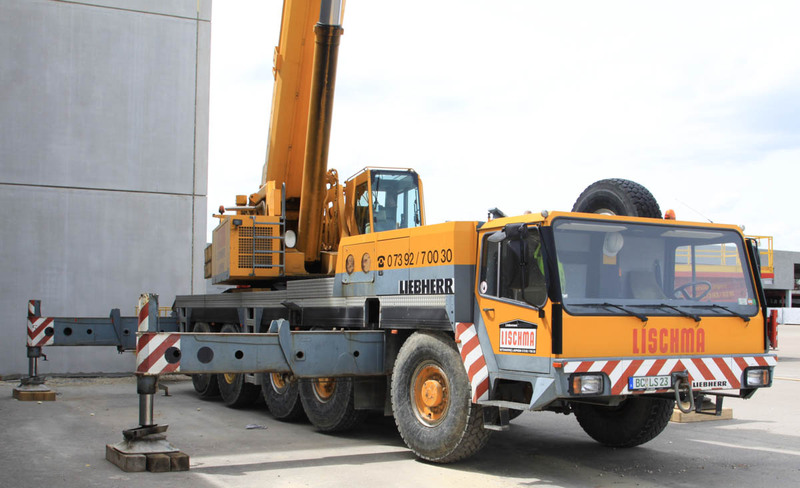 The 5 axle undercarriage is powered by a Liebherr D 9408 TI, an 8 cylinder diesel engine with 544 hp. 4 of the 5 axles are driven, all axles are steerable. The year of manufacture of the crane is 1998. The outrigger base measures 8.85 x 8.3 meters. 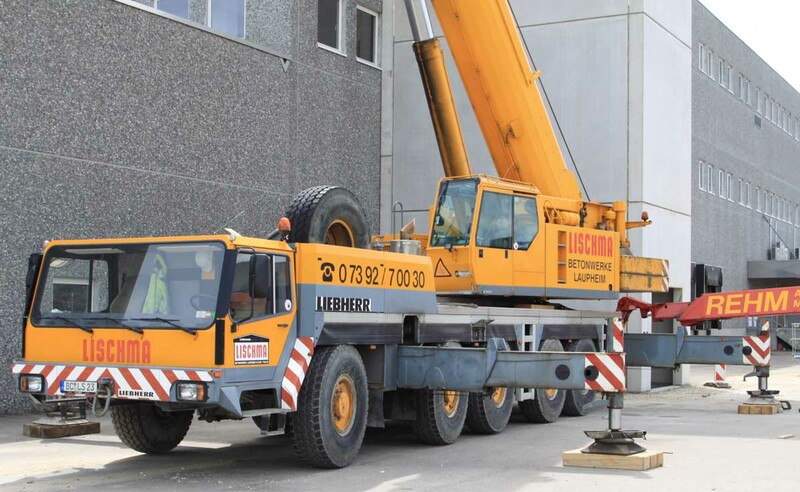 Packed has this crane a 15.3 meter length, a 3 meter breadth and a 4 meter height. 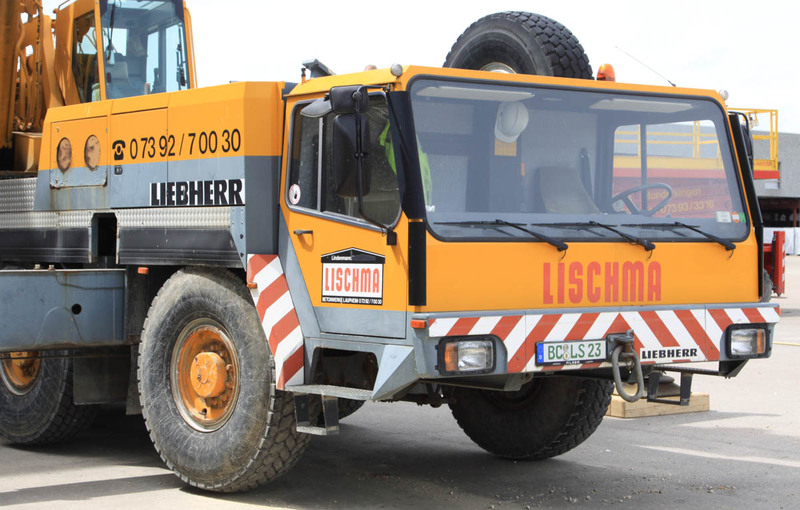 Lischma is a producer of precast concrete elements and has an own fleet for the transport over the road and the assembly on the construction sites. 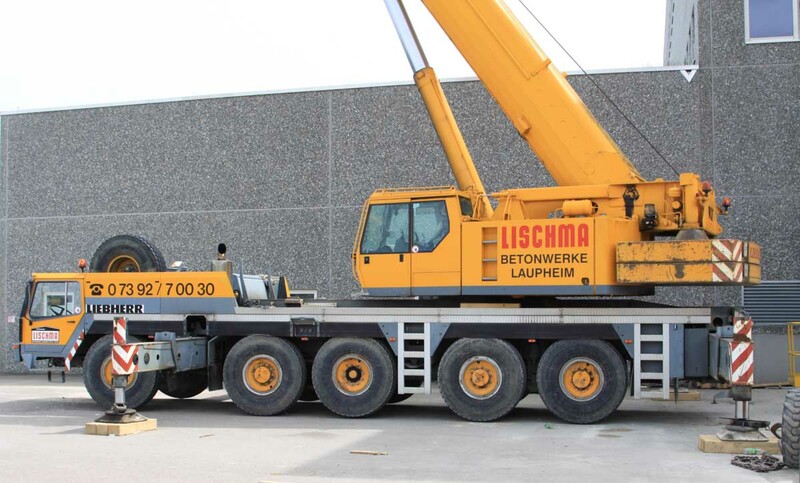 Next to this Liebherr LTM 1160/2 was in the past also a Demag AC 335 used. 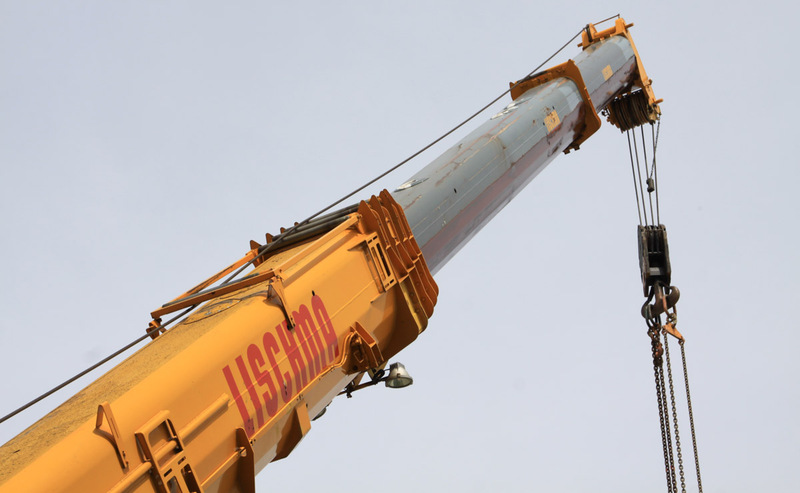 It is a 160 tonne crane with a transport mass of 60 tonnes. 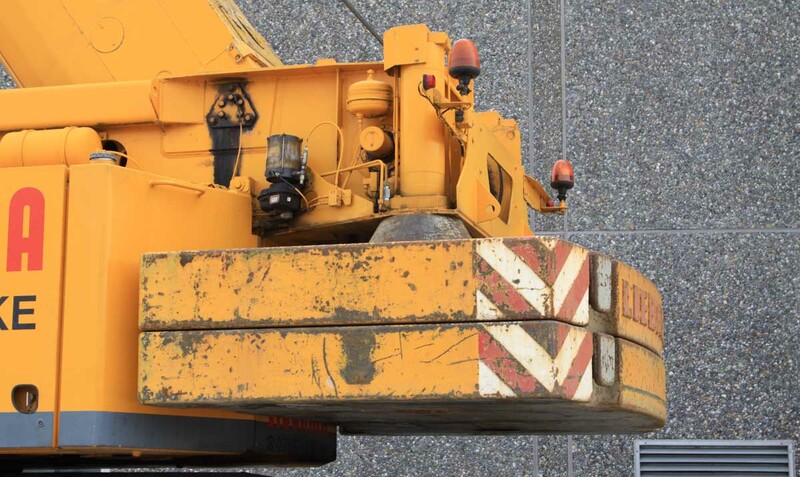 The crane was here fitted with 23 tonnes of counterweight, existing out of a 11 tonne base plate and a 12 tonne slab. The max. counterweight weights 50 tonnes. The mainboom has a 13.2 meter base length and extends five times to a 60 meter length. 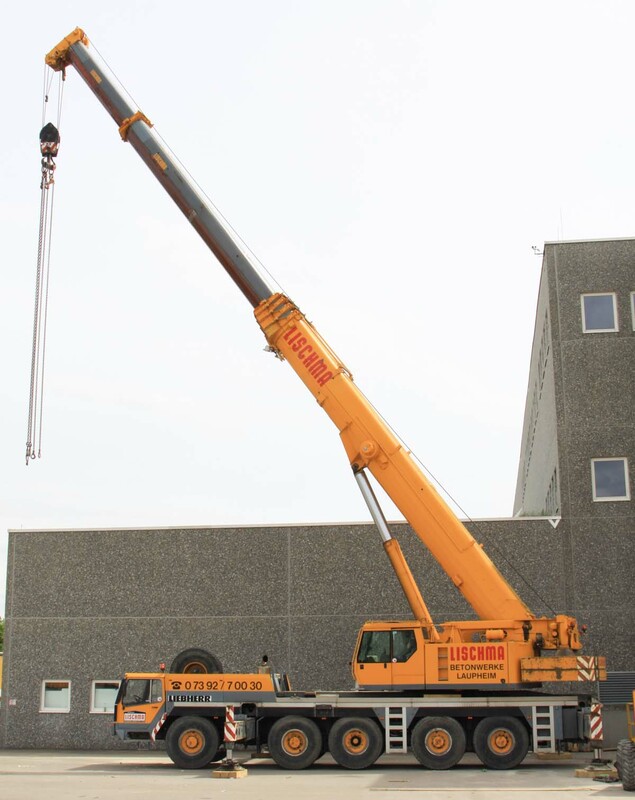 The mainboom can be extended by a 22 meter folding jib. 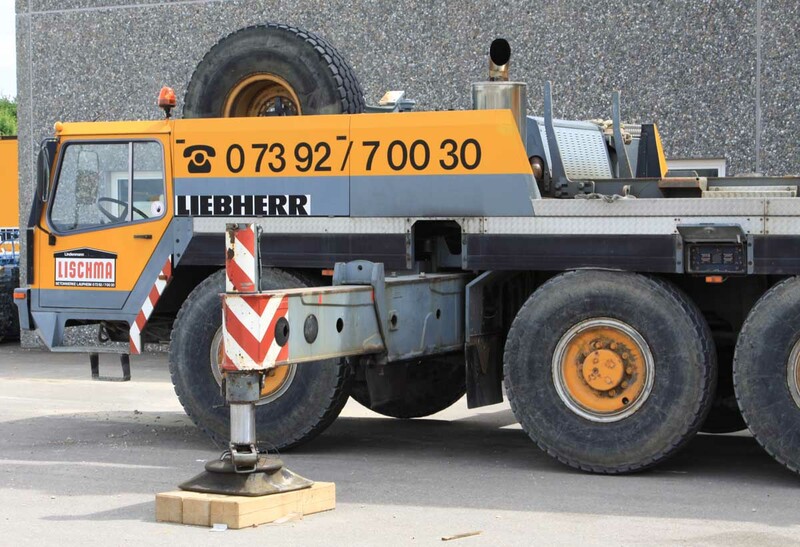 A nice crane in the former company colors of Liebherr.